It is with sadness we announce the passing of Raymond Theodore Riesinger at the age of 61 years on January 14, 2019. 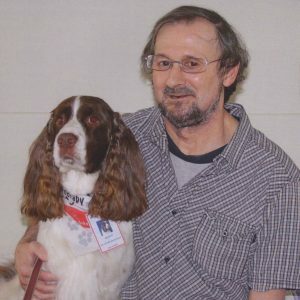 Raymond was a resident of Parkridge Centre in Saskatoon. He is lovingly remembered by his brothers Edward, Joseph and Albert; sister Roseanne; 2 nieces Lyndsey and Brittney; Aunts Laura St. Germain and Dorothy Martin; Uncles Romeo Arcand and Larry Arcand; special friends Murphy and Jane Smith; numerous cousins and friends. Raymond was predeceased by his parents Leonard & Roselda (nee Arcand) and his Grandparents; Aunty Cecile (Ed) Loeffler; Uncle Nap Arcand; Uncle Raymond St. Germain; Aunty Jean Pearson; and Uncle Claude Martin. Memorial Service was held at 7:00 p.m. on Monday, January 21, 2019 in the Chapel of Cherished Memories Funeral Home, 591 Centennial Drive North, Martensville. Raymond’s Urn will be interred alongside his parents in St. John’s Parish Cemetery in Arthur, Ontario at a later date. A heartfelt thank you to the staff at the Parkridge Centre, the staff at RUH (5311) and a special thank you to Nurse Lisa.